Strikes Allsportz Recaps categories are :- NHL- NBA - NFL - MLB - UEFA.tv - MLS - FIFATV - Golf - Tennis - WWE - UFC - MILB - Rugby - Lacrosse - Boxing - Bare Knuckle Fighting - NHRA - Formula 1 - Nascar - Supercars - Redbull - . Enter ROCKC in the bottom box > Click OK. Install from zip file > ROCKC > repository.Rockcrusher-x.x.zip. Install from repository > Rocks Repository > (Video/Music/Program) add-ons > Strikes Allsportz Recaps > Install. 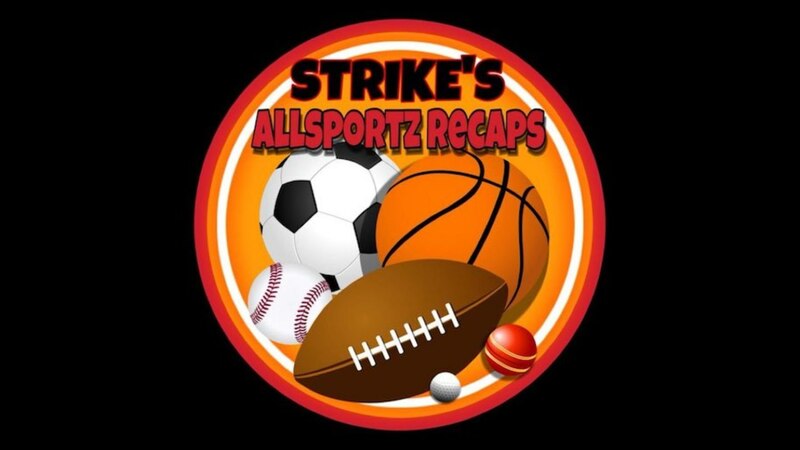 Congratulations, your Strikes Allsportz Recaps Add-on is now installed and ready to use. Home screen > System > File Manager > Add Source > http://rockodi.com in the top box > Enter ROCKC in the bottom box > Click OK > BACK to HOME screen > System > Add-ons > Install from zip > ROCKC > repository.Rockcrusher-x.x.zip > Wait for notification. > BACK to HOME screen > Add-Ons > Add-on Browser > Install from repository > Rocks Repository > (Video/Music/Program) add-ons > Strikes Allsportz Recaps > Install. Wait for Add-on enabled notification. > Congratulations, your Strikes Allsportz Recaps Add-on is now installed and ready to use. Kodi third party Kodi add-ons are continually updating, and Strikes Allsportz Recaps Kodi add-on will always need to be on the latest version to continue to function correctly. If your Strikes Allsportz Recaps Kodi add-on stops working for any reason, try uninstalling the add-on and corresponding repository if it has one. Then run through the install process once more, as shown above. Sometime add-ons require dependencies such as the latest YouTube, Sports Devil, F4M Tester, Livestreams Pro, Plexus. So it's a good idea to reinstall these add-ons from time to time, or if you're getting add-on errors. Some links may not work because they may have geographical restrictions, or be possibly blocked by your ISP. A VPN maybe required to avoid this, and is certainly recommended for Ace Stream or P2P based add-ons, but this is entirely your choice. Kodi third party add-ons are NOT supported by the Kodi/XBMC foundation. Please do not post questions on the forum.kodi.tv website relating to this Strikes Allsportz Recaps add-on.